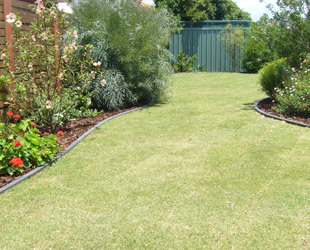 Prorail garden edge is an exciting new product that goes beyond your average garden edging. This versatile system suits a large range of landscape, construction and civil projects. Made from recycled materials this attractive, effective product is light and easy to work with. Prorail can be used straight to give a bold modern look, or curved to add flowing lines to any garden area. 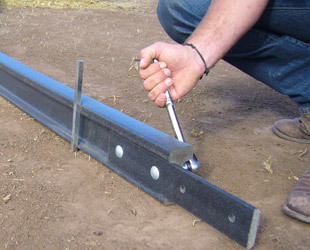 Fast to install, it wont warp or rot and has no sharp edges or splinters making Prorail a top choice in any landscape. 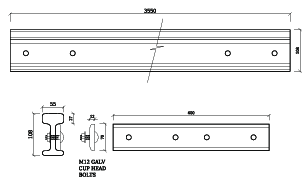 Prorail as a ground level deck support system allows curves to be incorporated to the designs. 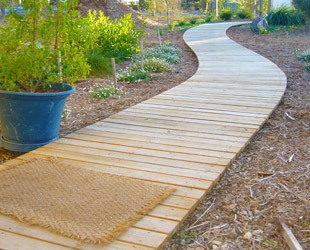 Decked paths can be constructed quickly with less impact to the environment. As a bitumen edge support system Prorail can help reduce the hazards and maintenance costs associated with edge break outs. Prorail is a MDM Outdoor Product. Design, owned and made in S.A.
Prorail is a MDM Outdoor Product. Quick to assemble and install. Strong and sturdy interlocking system. Suitable for a large range of solutions. No sharp edges or spintering.